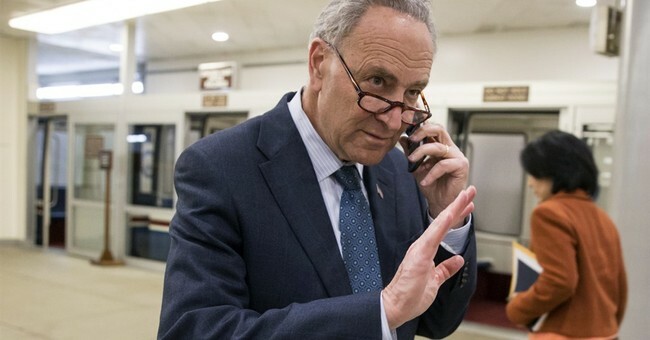 By now, you're likely aware of the background and dynamics ahead of this brewing Senate battle -- as more Democrats announce their support for Chuck Schumer's anti-Gorsuch filibuster, premised on an imaginary '60 vote' standard he conjured in his head with little factual support. The latest bandwagon-jumper is former Clinton running mate Tim Kaine, whose embrace of this obstructionist tactic is, shall we say, noteworthy, in light of his stance in favor of extending the Reid Rule and further nuking the filibuster on behalf of Hillary's would-be Supreme Court nominees. I'm not sure Democrats' self-interested double standards on these issues can be distilled down into a purer form than Kaine's new and expired positions. As an aside, Kaine's weak rationale for seeking to block Gorsuch is the judge's supposed activism against abortion rights. Not only does this claim have virtually no basis in Gorsuch's actual record, it's an interesting attack coming from a politician who touted his support for the "sanctity of life" and various abortion restrictions as recently as 2005. At some point, Kaine apparently recognized that an inviolable litmus test for advancement in the modern Democratic Party was adopting a dogmatic commitment to abortion fanaticism, and shifted accordingly. In any case, lest there was any doubt about Democrats' almost comical unseriousness on Gorsuch, Chuck Schumer laid them to rest yesterday. The Post describes statements from Lindsey Graham and Susan Collins, two of three remaining members of 2005's 'Gang of 14,' as adopting a "hard line tone." In other words, yes, this may really be happening. As I've written before, conservatives should probably be rooting for a Gorsuch filibuster. It's so obviously baseless and unreasonable that Republicans would really have no choice but to apply the Reid Rule to secure confirmation. That would rip the proverbial bandaid off ahead of the next SCOTUS battle, which could present a more difficult PR campaign for Republicans if Democrats had played ball on Gorsuch. Instead, they're overreaching -- as usual -- and possibly paving the way for simple majority confirmations of at least two Trump picks to the High Court.